It is an unsettling and acutely annoying situation when another person mounts an online attack on you. Let’s say it hypothetically begins with a few compromising photos of you from your Instagram account being posted on someone else’s Facebook page. Then the photo postings suddenly spread to multiple social media platforms. Friends start to share that they’ve received group email blasts containing the same compromising photos and lots of negative information about you. Is this the time to seek court intervention to stop your harasser? Does your situation qualify you for the issuance of a cyberstalking injunction under ss.784.046 and 784.0485, Fla.Stat. (2016)? Read on to see why the answer is “probably not”. My November 9, 2016 cyberstalking blog explains the legal ins and outs of obtaining a cyberstalking injunction. An earlier June 4, 2015 blog addresses whether your Facebook posts can be grounds for a cyberstalking injunction to be entered against you. This blog looks at the way Florida appeals courts are making it clearer when cyberstalking injunctions are legally appropriate — and when they are not. Several 2016 appellate decisions reversing cyberstalking injunctions show us that every legal requirement for cyberstalking injunctions must be met with supporting evidence and findings. If all legal requirements are met, it’s just as important that the injunction be no broader than necessary to protect the injunction claimant under the particular facts of each case. So why does it seem like the courts are making it hard to get a cyberstalking injunction against your harasser? Frequent appellate reversals of cyberstalking injunctions are showing judicial concern that cyberstalking injunctions don’t go too far in limiting the constitutional First Amendment free speech rights of the alleged cyberstalker. Our right to free speech is broad and usually zealously protected by the courts. So judges need to be careful that any censuring of this constitutional right — like the issuance of a cyberstalking injunction that stops the cyberstalker from engaging in free cyberspeech —- is limited to those cases that strictly satisfy all of the requirements of the cyberstalking statutes. For the same reason, judges need to be careful that the injunctive relief granted doesn’t limit the cyberstalker’s freedom of speech rights any more than necessary. Going back to the hypothetical compromising photo postings example at the beginning of this blog, — yes, despite your embarrassment and anger, it would probably fail to strictly meet the legal requirements of the cyberstalking statutes. The compromising photos aren’t directed at a “specific person” as required by statute, as long as the photos are posted on the harrasser’s own account pages and your name isn’t specifically tagged. Since you weren’t even a listed recipient of the derogatory emails, the emails couldn’t have been directed to you as a “specific person”. If you remember that you’ve allowed anonymous “friends” access to your Instagram account, it’s really all over for your hypothetical cyberstalking injunction claim. Are you the target of cyberstalking or is a cyberstalking charge being made against you? Call Attorney Jeanne Coleman today for a twenty-minute free consultation. 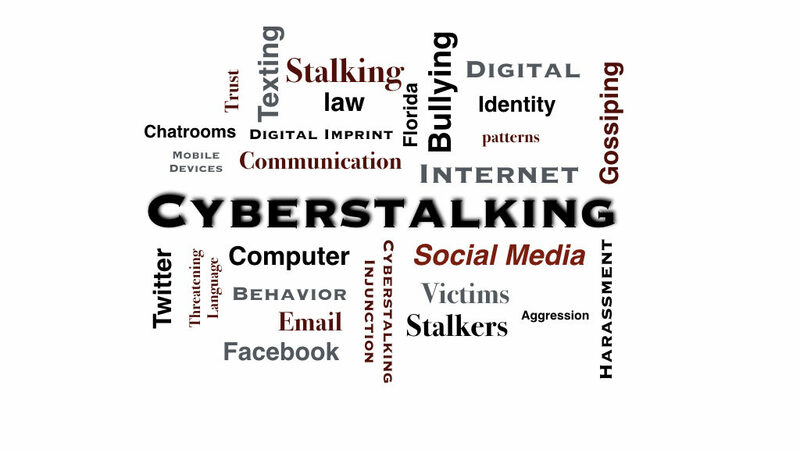 Cyberstalking is a relatively new legal claim with highly specific legal requirements that can best be met or challenged by an attorney knowledgeable in this field. Jeanne Coleman is a former state prosecutor with over 25 years of family law experience in the Tampa Bay community.